“The RealSelf 100 represents an exclusive group of doctors who embody both excellent patient service and an ongoing commitment to educating consumers shopping in the aesthetics market,” - Tom Seery, Founder and CEO of RealSelf. 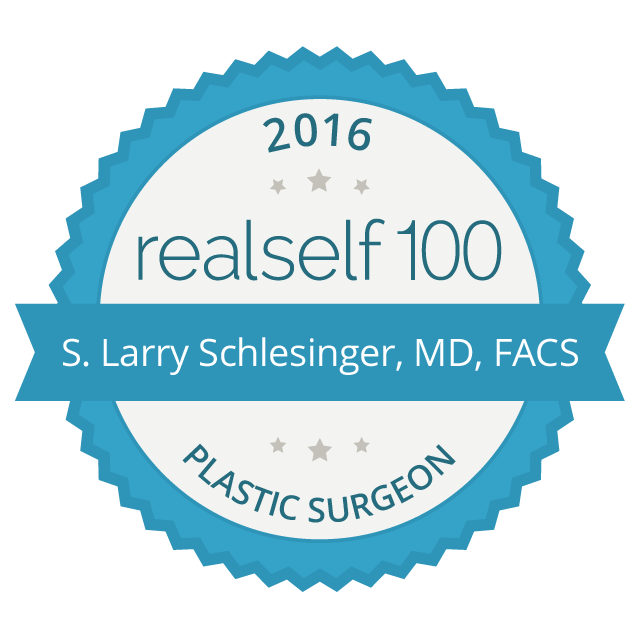 Local physician, S. Larry Schlesinger, MD, FACS is one of 100 doctors worldwide to receive the RealSelf 100 Award, a prestigious award honoring the top influencers on RealSelf—the most trusted online destination to get informed about elective cosmetic procedures and to find and connect with doctors and clinics. In 2016, more than 82 million people visited RealSelf to research cosmetic treatments and connect with local medical professionals. The RealSelf 100 Award, now in its seventh year, honors the top rated and most engaged board certified aesthetic doctors who consistently demonstrated a commitment to patient education and positive patient outcomes throughout 2016. This elite group of 100 doctors have excelled at sharing their expertise, free of charge, with tens of millions of RealSelf community members actively searching for information and the right provider, and together contributed 25 percent of the half a million total answers posted on RealSelf in 2016. Dr. Schlesinger is an expert contributor to RealSelf, and to date has posted nearly 2000 answers to questions on RealSelf. He also maintains a patient star rating of five out of five stars in RealSelf reviews. 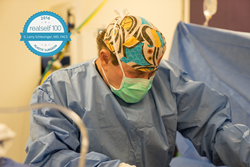 For more information on Dr. Schlesinger, please visit http://breastimplantcenterofhawaii.com and for the full list of RealSelf 100 Award winners, visit http://www.realself.com/RS100. RealSelf is the largest online destination to get informed about elective cosmetic procedures and to find the right doctor or clinic. More than nine million people visit RealSelf each month to find out which treatments and providers live up to their promise of being “Worth It." RealSelf is powered by unbiased experiences shared by consumers for hundreds of treatments, ranging from simple skincare to highly considered cosmetic surgery. Offering millions of photos and medical expert answers, RealSelf has become the essential resource and service for those seeking to find the right doctor or clinic.